What can be concluded from this URL, is that it is probably meant to supply users with some JS modules. 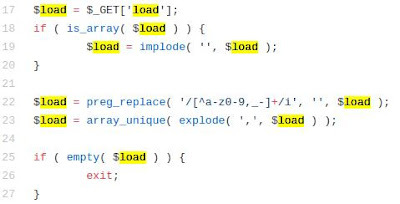 In addition, the load parameter is an array, which means that it is possible to provide multiple values and be able to get multiple JS modules within the response. As WordPress is open-source, it is easy to perform code review and explore this feature. After doing so, I realized that this feature was designed to economize the amount of requests sent from the client while trying to load JS or CSS files, so when the browser needs to load multiple JS/CSS files, it will use load-scripts.php (for JS) or load-styles.php (for CSS files) and the browser will get multiple JS/CSS files through a single request- so performance-wise it is better to do so and the page will load faster. This feature was designed only for the admin pages, but is also used on the wp-login.php page, so no authentication is enforced on these files. There is a well-defined list ($wp_scripts), that can be requested by users as part of the load parameter. If the requested value exists, the server will perform an I/O read action for a well-defined path associated with the supplied value from the user. I wondered what would happen if I sent the server a request to supply me every JS module that it stored? A single request would cause the server to perform 181 I/O actions and provide the file contents in the response. The server responded after 2.2 seconds, with almost 4MB of data, which made the server work really hard to process such a request. As long as I kept sending those requests to the server, it was too busy to handle any other request, and I had effectively (and easily) caused DoS. It is time to mention again that load-scripts.php does not require any authentication, an anonymous user can do so. 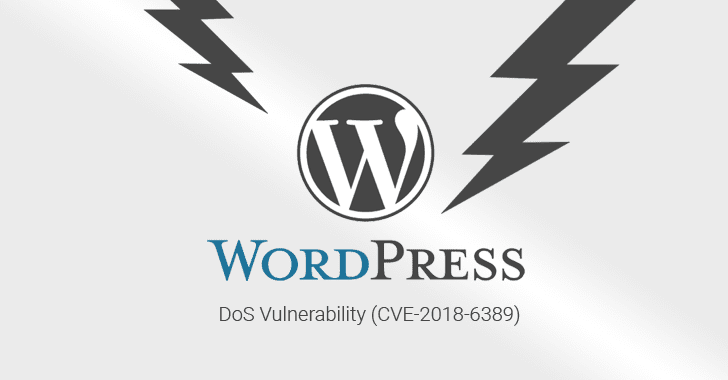 Even though I was extremely frustrated about them not acknowledging this as a vulnerability, I kept on exploring how I can mitigate this attack, and forked WordPress project and patched it so no one but authenticated users can access the load-*.php files, without actually harming the wp-login.php file functionality. So if you are currently using, or are about to use, WordPress, I would highly recommend you use the patched version. In case you already have a WordPress website on a Linux machine, I created this bash script that modifies the relevant files in order to mitigate the vulnerability.